You love wood burning fireplaces, but which one is right for your space? 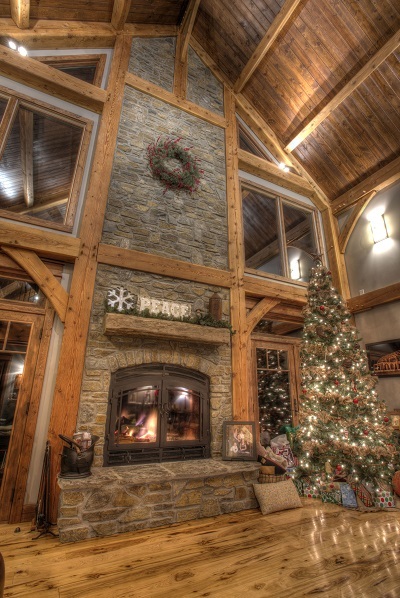 Here’s a helpful buyer’s guide to ensure you find the perfect wood fireplace for your space. The first thing you need to determine is whether you’re looking for a wood fireplace for ambiance or if you’re looking for supplemental heat. 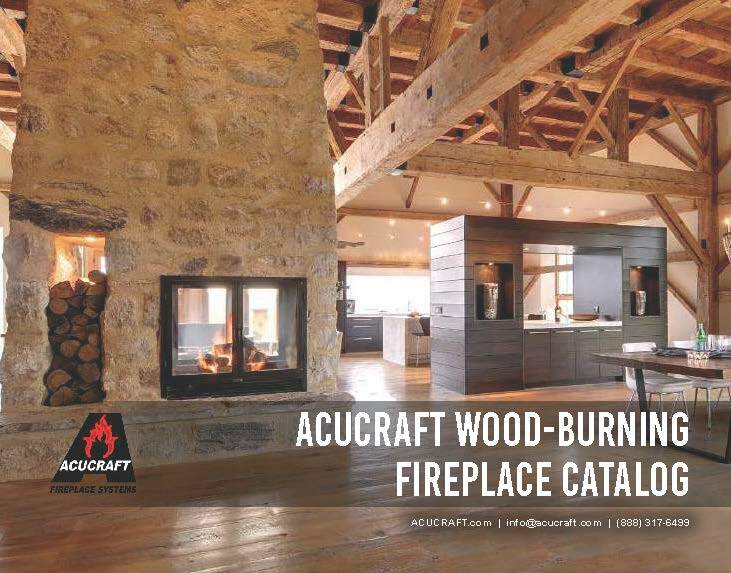 Acucraft offers an array of wood burning fireplaces that will fit seamlessly in your space whether you have a modern contemporary home; or a rustic cabin in the woods. 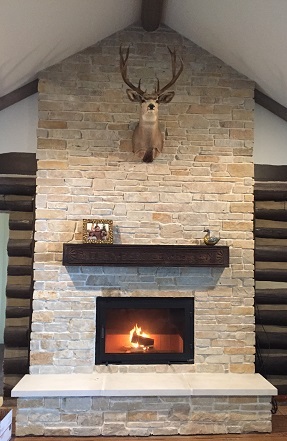 Our high-tech series of wood fireplaces are perfect for customers looking for supplemental heat, or to heat their space with their fireplace. Our high-tech series includes the Chalet series, the Great Room series, the Lodge series, and the Z-Max. 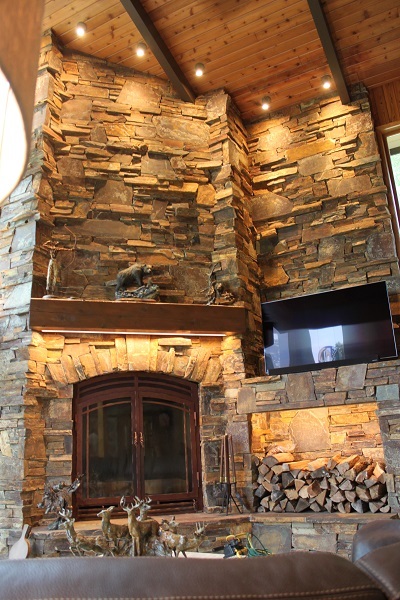 Our Chalet wood fireplaces are available in high-tech, masonry, single-sided or see-through. 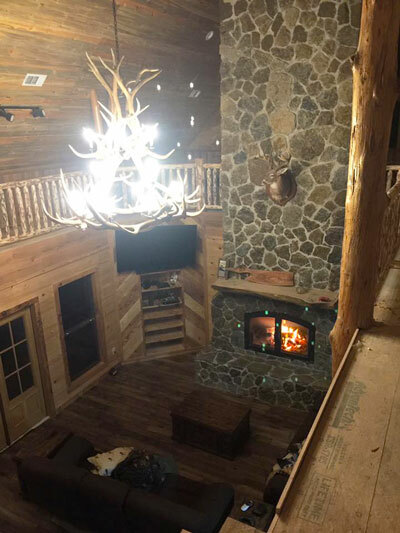 Boasting 140,000-180,000 BTUs/Hr with the ability to heat up to 4,000 square feet, the Chalet is perfect for those looking to heat their homes with their fireplace. 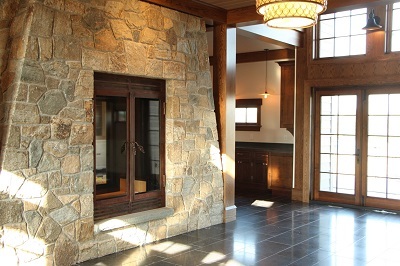 Our Great Room wood fireplaces are available in high-tech, masonry, single sided or see through. 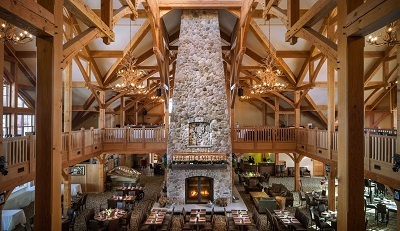 The Great Room can produce up to 180,000 BTUs/Hr and can heat up to 4,000 square feet, another perfect option for customers looking for Whole Home Heating from their wood burning fireplace. Our Lodge wood burning fireplaces are available in high-tech, masonry, single-sided or see through. 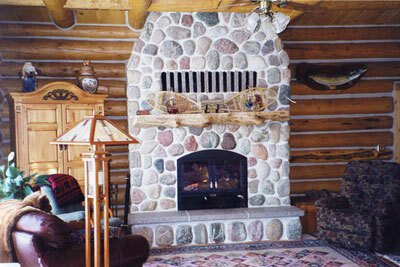 The Lodge fireplaces can produce up to 150,000 BTUs/Hr and can heat up to 3,000 square feet. 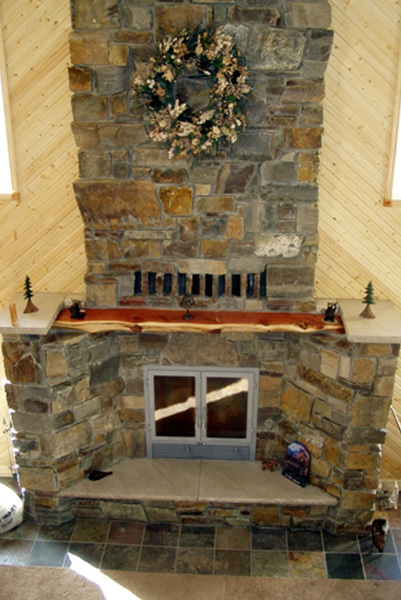 With a burn time of up to 12 hours, this fireplace is great for supplemental heat! Our Z-Max wood fireplace is one of Acucraft’s most efficient wood burning fireplaces. With a smaller viewing area, this fireplace produces up to 130,000 BTUs/Hr and can heat up to 3,000 square feet for up to 10 hours. 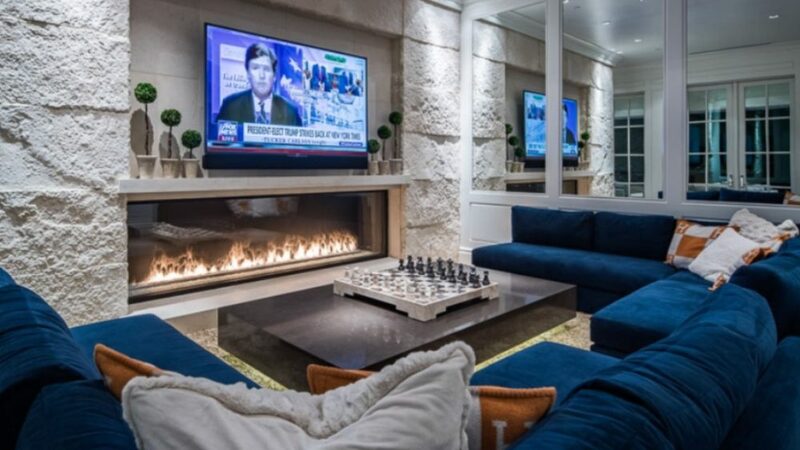 This fireplace is perfect for Whole Home Heating. If you’re looking for a traditional aesthetic, but don’t need supplemental heat, our Hearthroom and UNITY series of wood burning fireplaces may be the perfect fit for you. 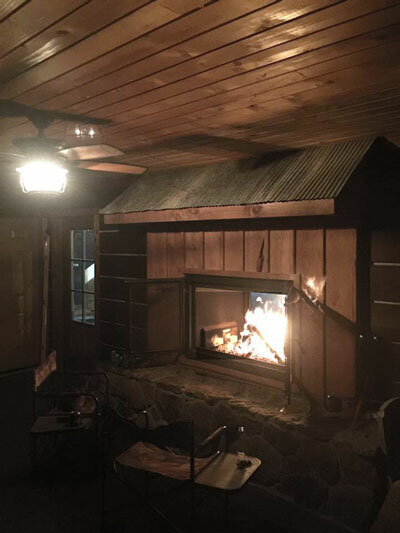 Our Hearthroom wood fireplaces produce up to 80,000 BTUs and can heat up to a 2,000 square foot space. The Hearthroom fireplace is available in three sizes and styles: 36″, 44″ and 48″ in single sided, see through, or patent-pending indoor/outdoor. Choose from arched or rectangular fronts and doors with many different finishing options to match the aesthetic of your space. Our UNITY series of wood burning fireplaces offer a modern, clean-face look without vents or louvres. The UNITY produces up to 80,000 BTUs and can heat up to 2,000 square feet. Choose from arched or rectangular fronts and doors with many different finishing options to match the aesthetic of your space. Available in three sizes and styles: 36″, 44″ and 48″ in single-sided, see-through, or patent-pending indoor/outdoor. Looking for something truly unique and one-of-a-kind? 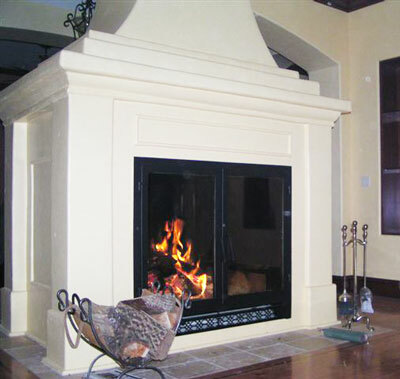 Our custom wood burning fireplaces are designed and manufactured to your exact wants and needs. 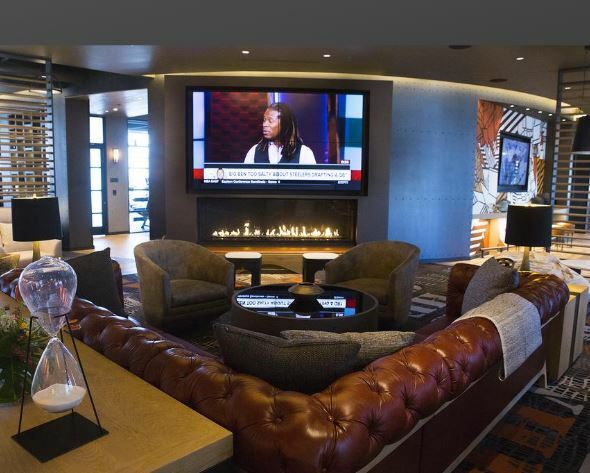 Linear Gas Fireplaces are Perfect for any Commercial or Residential Space! 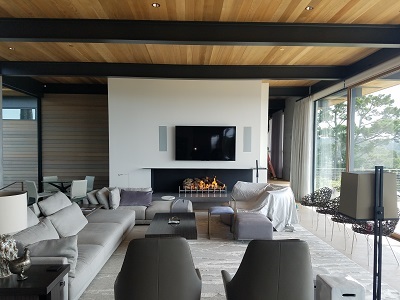 Linear fireplaces have grown in popularity over the last 10 years and are often a very sought after fireplace whether you’re adding it to a modern home, or a commercial space. 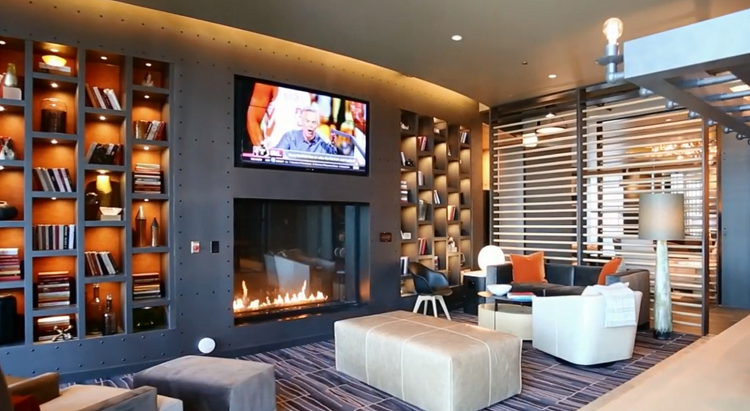 Acucraft has been designing and manufacturing fireplaces for over 40 years, and has launched two linear gas fireplace series in 2018: The BLAZE Series of commercial gas fireplaces and the Signature Series of residential gas fireplaces. 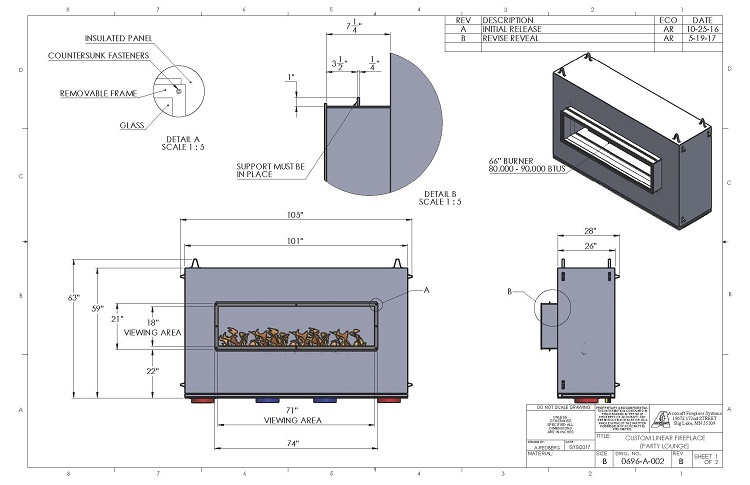 Our BLAZE Series of linear fireplaces are made with commercial grade parts and components. 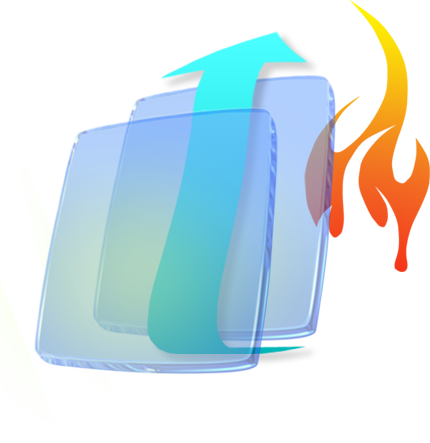 They come in sizes 6′-16′ in single-sided, see-through and indoor/outdoor models. Our Signature Series of residential linear gas fireplaces are available in 4′-8′, single-sided, see-through, and indoor/outdoor models. Our Signature Series can also be converted from sealed with glass to open with firescreen with our 10-Minute Conversion Kits! 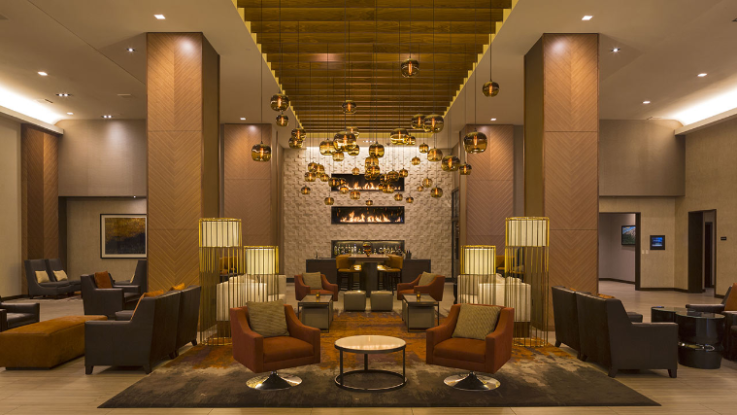 Long linear gas fireplaces with impressive flames and viewing areas have become the focal point of countless homes, restaurants, and lobbies of posh hotels. Want to take your linear fireplace to the next level? 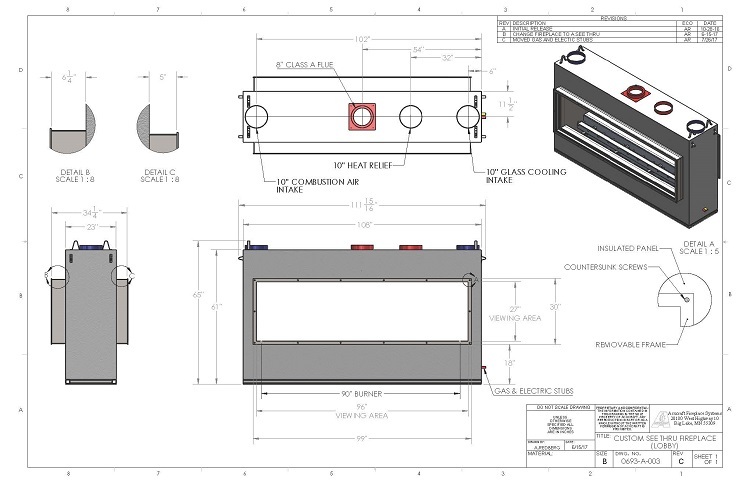 Acucraft can design the linear fireplace of your dreams, and it can be designed and manufactured to be single-sided, see-through, or with our patent-pending indoor/outdoor style. 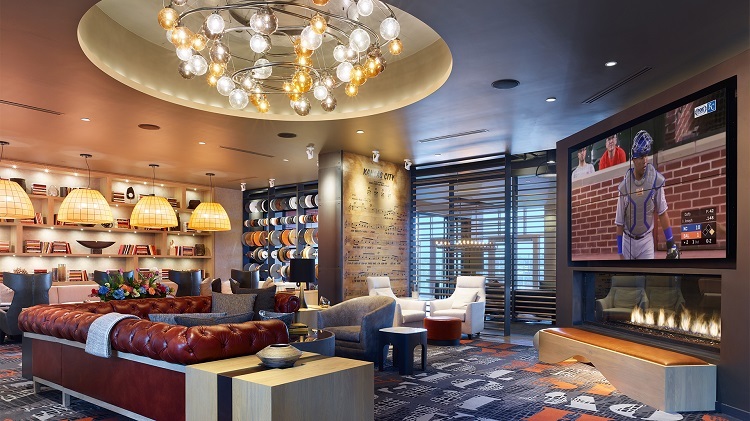 As a custom fireplace manufacturer, the sky is the limit. 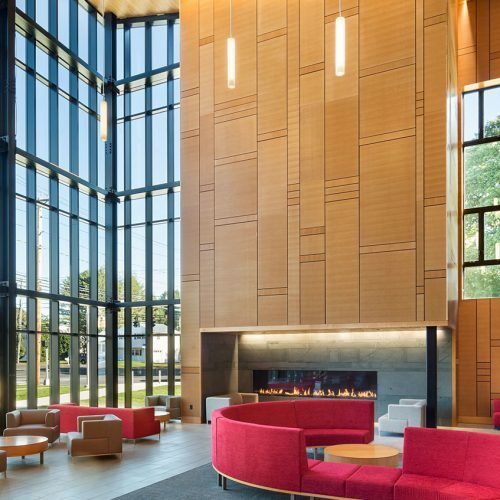 At Acucraft we have had the pleasure of working with many of the world’s finest architects, designers, and builders on countless commercial and residential fireplace projects. Our fireplace designers work with you one-on-one to ensure your dream fireplace becomes a reality. 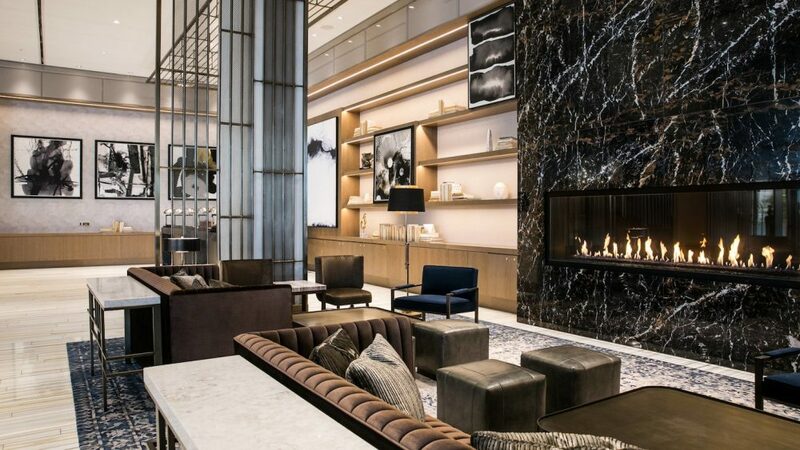 Many of our linear gas fireplaces have been chosen to be the focal point in luxury hotels, apartment complex amenity spaces, corporate offices, multi-million dollar homes, and more. 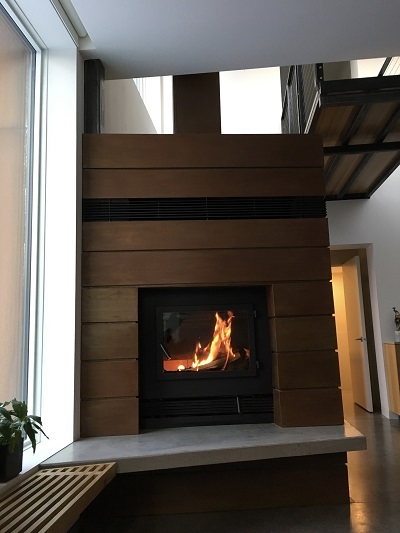 Looking for a linear gas fireplace for your own home or for a commercial space? 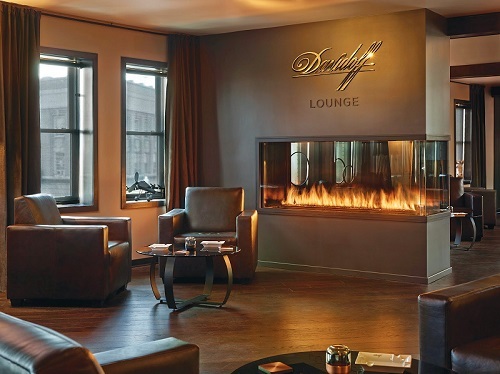 Our fireplace advisors and designers will find the perfect solution for you. 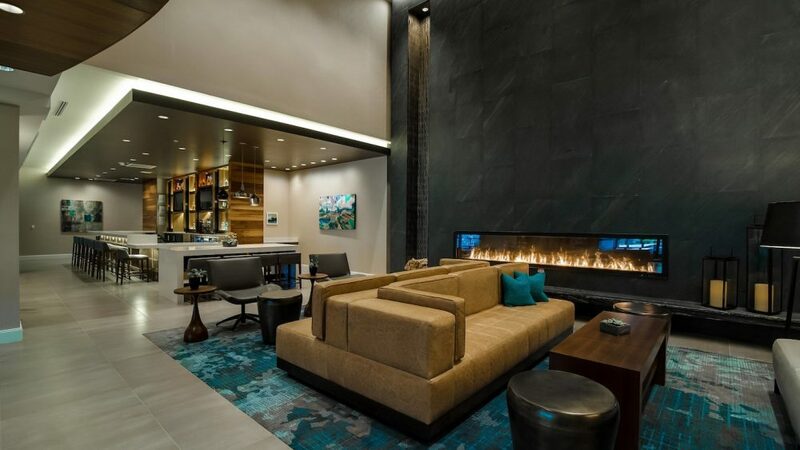 What better way to impress new luxury apartment renters than with five unique custom gas fireplaces? At Acucraft we pride ourselves on working one-on-one with our customers. By working directly with general contractors we can keep costs down and provide an exceptional product that meets their exact needs. Don’t have an architect or designer for your project? No problem! 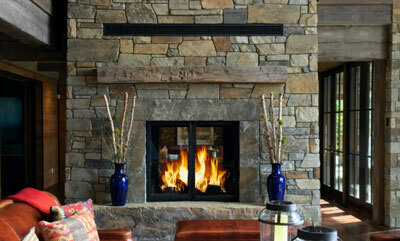 Our expert Fireplace Advisors and Designers work diligently to make your client’s fireplace dreams a reality. 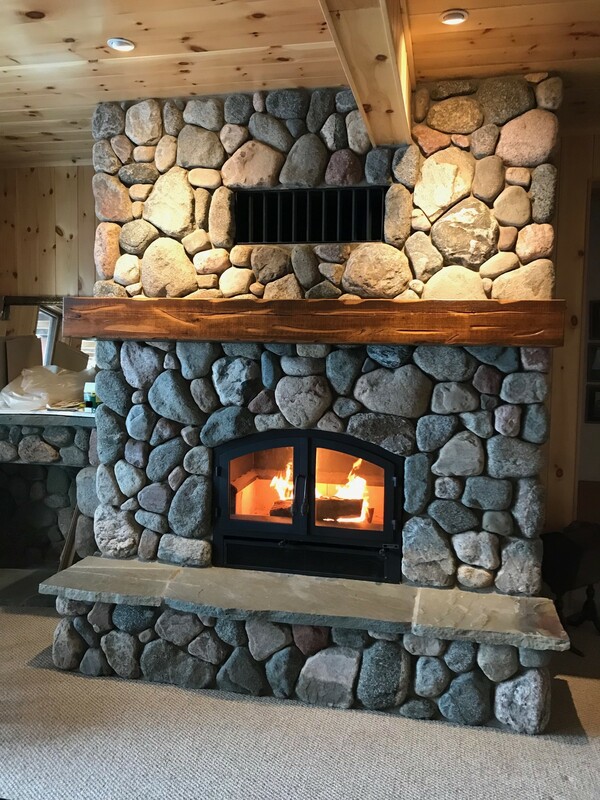 When Tim Ockinga of JE Dunn Construction came to us in 2016 looking for fireplace solutions for a new project, he wasn’t sure whether to pick Acucraft of Montigo. He was looking for five gas fireplaces for the Two Light Tower Luxury Apartments project, which was still at least a year out for installation. 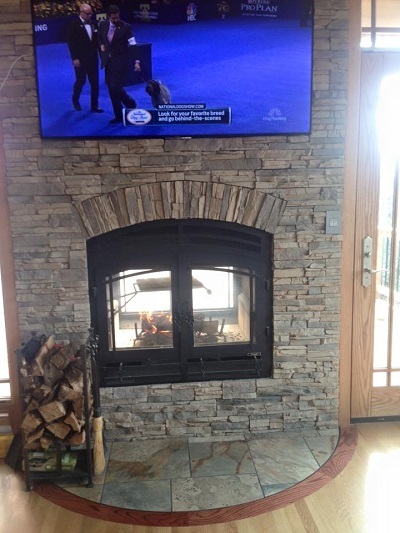 After talking with Jill, Fireplace Advisor, and Adam, Fireplace Designer, he was convinced Acucraft was the right choice for his project. 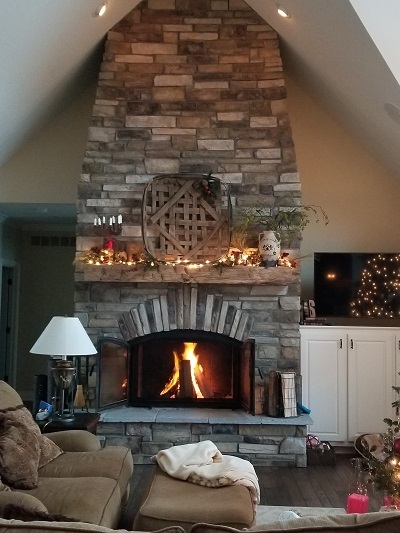 Not only was Tim able to save money by working direct with Acucraft, but he was able to fully customize the fireplaces to meet his needs by working one-on-one with our Fireplace Designers. Tim chose to go with Acucraft’s commercial gas fireplaces. 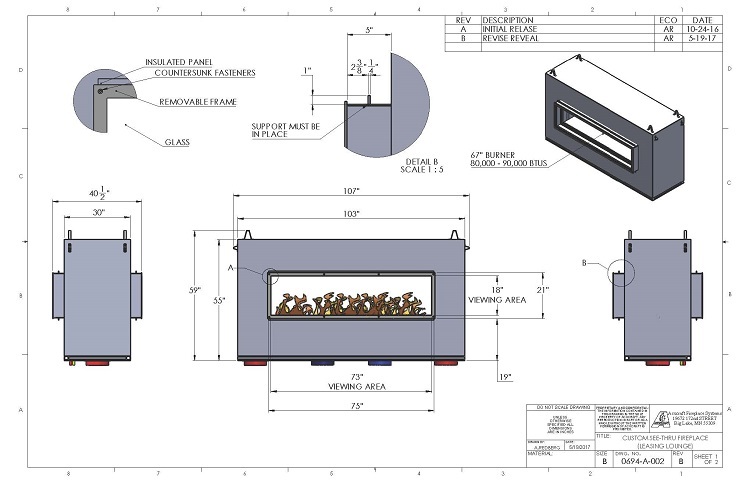 Each unit came with our patent-pending Glass Cooling System, ensuring safe-to-touch glass with an average temperature of 145°F. The location of some of the custom gas fireplaces at Two Light Tower Apartments made venting difficult so we worked with Tim on different potential venting options to meet his needs. Three out of five of the fireplaces needed to be down-drafting under the floor while still maintaining a consistent, tall, lazy flame. This is another reason why Tim chose Acucraft. 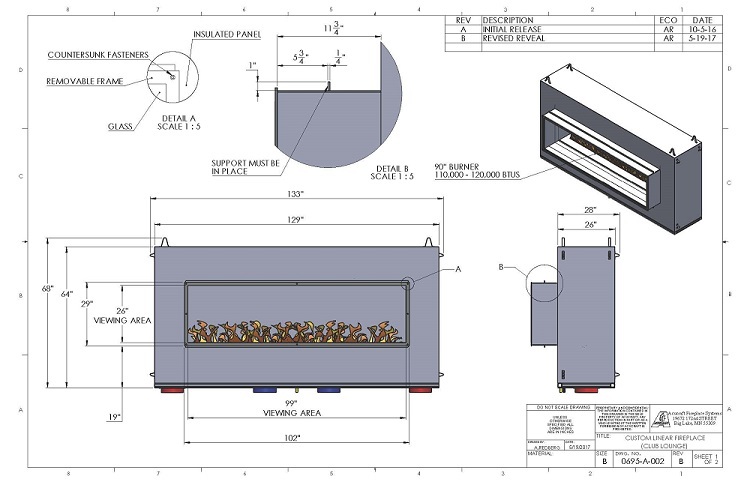 We had the ability to customize the product to his exact needs, including a complicated flue run. Tim was not only looking for a quality gas fireplace, but he wanted to showcase large flames, sure to impress potential renters. Thanks to our Engineering Services Team, we can offer our customers the tallest flames on the market! Pre-Installation: an Acucraft Representative can meet with your installation team on site to go through every step of the installation. We recommend having the fireplace and components on site, but not yet installed. 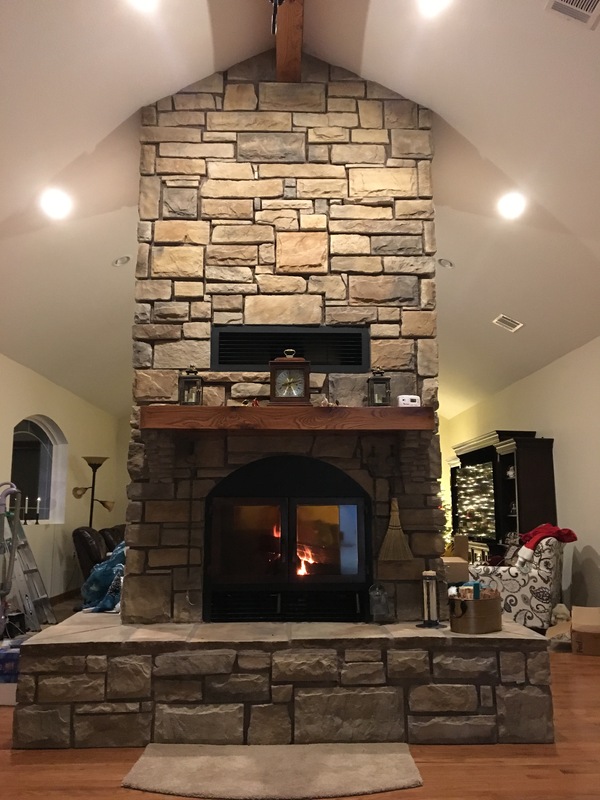 Calibration: upon completed installation of the fireplace, an Acucraft Lab Technician will verify the installation and make any adjustments to your fireplace and components. This service includes training on operation and maintenance. 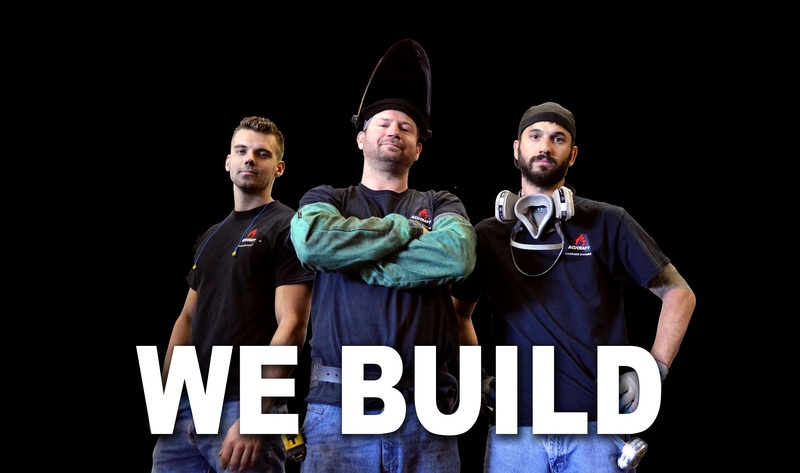 Maintenance, Repair and Troubleshooting: when you select Acucraft for your custom gas fireplace project, our commitment to you is that we are Together Forever – our philosophy for over 40 years! Our team can assist you through phone calls, FaceTime, email, or be on site when you need them. It was a pleasure working with Tim and the JE Dunn Construction Team, we look forward to collaborating on future projects! 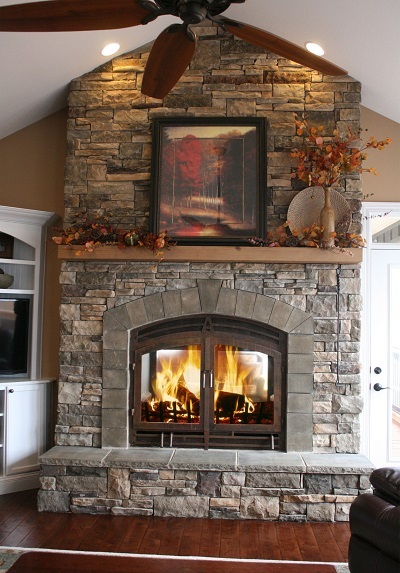 >>Click Here to start your own fireplace project today! Even the Fab Five from “Queer Eye” recognize luxury. These five gentlemen called Two Light Luxury Apartments their home for four months while shooting Season 3 of Netflix’s hit show “Queer Eye.” Click Here to learn more about the Fab Five and how the Two Light residents gathered around an Acucraft custom gas fireplace to watch the debut of their favorite show! Acucraft is honored to be celebrating 40 years of business! It all started in the 1970s when Roger Hansen was looking for a more cost effective way to heat his home during the oil crisis. After drawing a design on a napkin, Hansen worked with a local welder in Big Lake, Minnesota, to build it in his garage. That initial design gave birth to the Chalet 20, an inventive wood burning fireplace capable of heating up to 4,000 square feet. 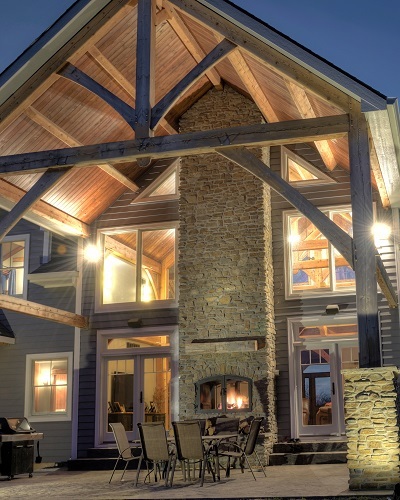 The Chalet 20 takes the air from inside the home and runs it through a 14-tube heat exchange system above the firebox before pushing it back into the home, providing ample heat. 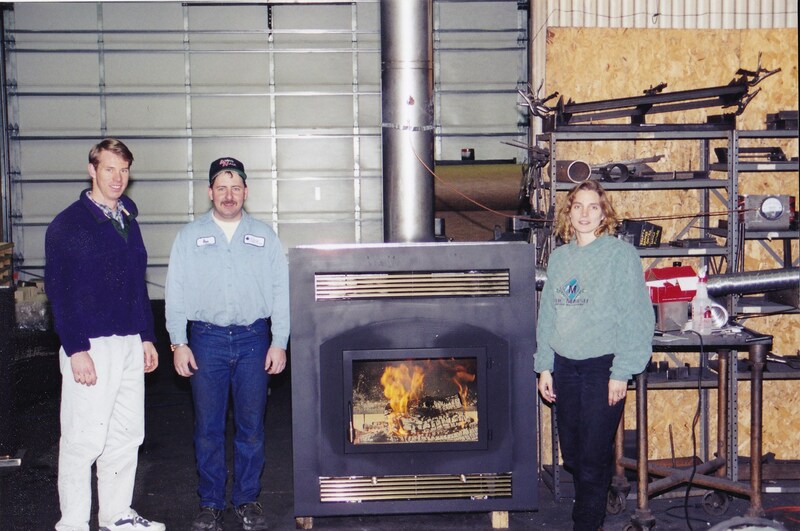 Impressed with Hansen’s invention, his friends began asking him to build one for them, which led to Hansen starting Acucraft Fireplaces in 1979. In the mid-to-late 80s, Hansen sold Acucraft to Charles Dahlgren. 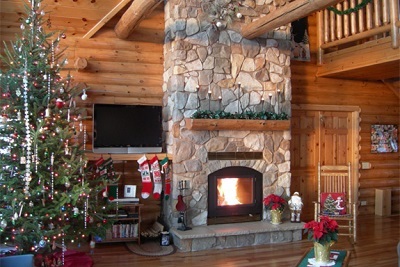 A gifted engineer, Dahlgren designed two additional fireplaces, the Chalet 30 and the Chalet 50. Dahlgren expanded the company by selling the fireplaces to masons, builders, and local dealers. In 1998, Dahlgren sold Acucraft to entrepreneurs, Chris and Emily Maxson. Inspired by Michael Dell, Chris introduced a direct sales system to the company, allowing the Maxsons to work directly with customers and architects worldwide. 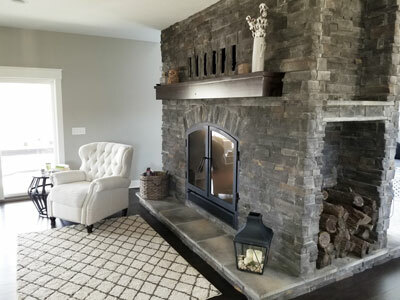 As President of the company, Chris’s goal was to revolutionize the industry by providing personalized service and creating unique solutions for customers’ fireplace needs. 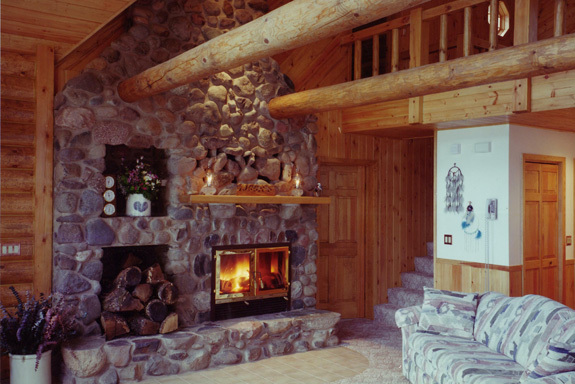 Acucraft worked closely with the log home industry selling their high-tech wood burning fireplaces. In 2000, Chris’s brother, Mike Maxson, was working as an engineer at Acucraft. 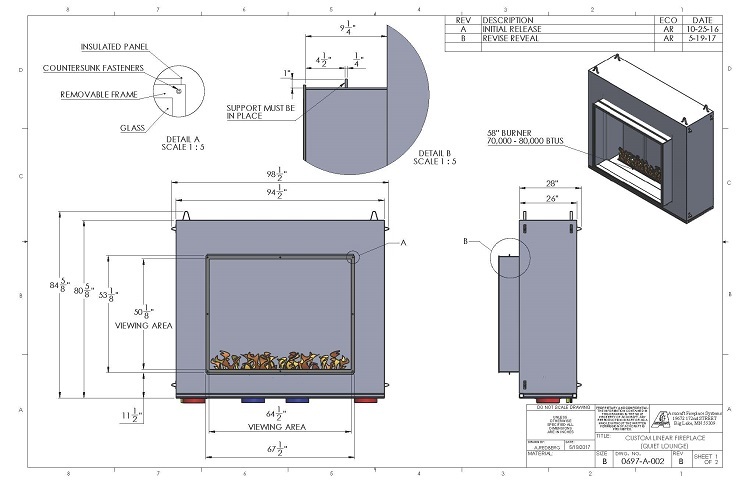 He designed the Z-Max, the largest and most efficient wood burning fireplace on the market. 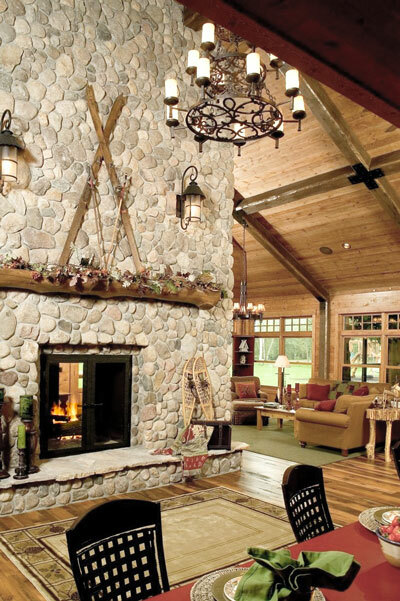 Increasing their presence in the log home industry, Acucraft fireplaces were recommended by a network of more than 1200 log home builders. 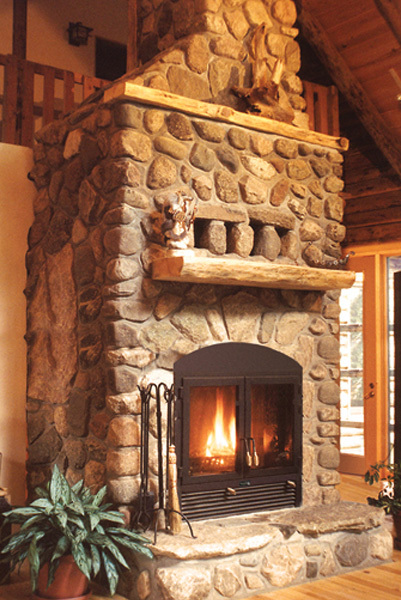 In 2006, architects began approaching Chris about building custom fireplaces. 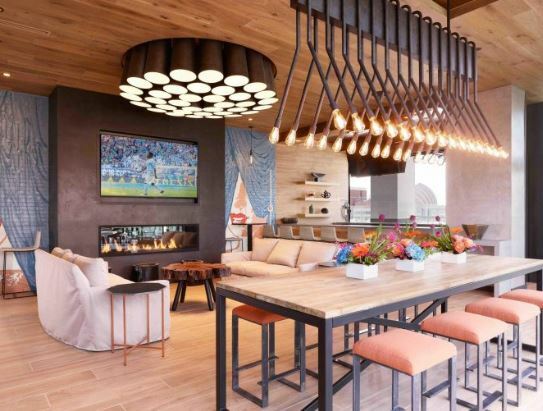 Their customers were building one-of-a-kind homes with custom windows, cabinets, lighting, and more. Many of these architects’ clients also wanted fireplaces as unique as their homes. 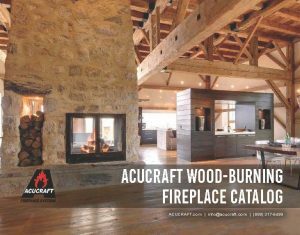 Soon Acucraft started designing and building custom wood and gas fireplaces for residential and commercial projects worldwide. 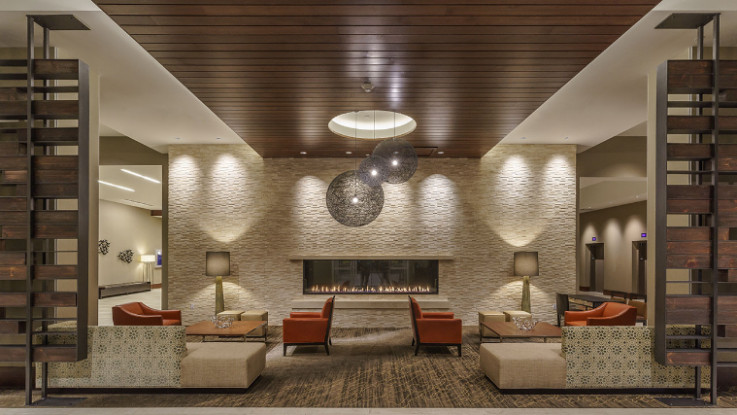 In addition to the demand for custom fireplaces, Acucraft recognized a need in the market for more diverse standard fireplaces. Acucraft increased their product line, meeting the market demands. In 2015, Acucraft moved into a new building with more than double their previous space. 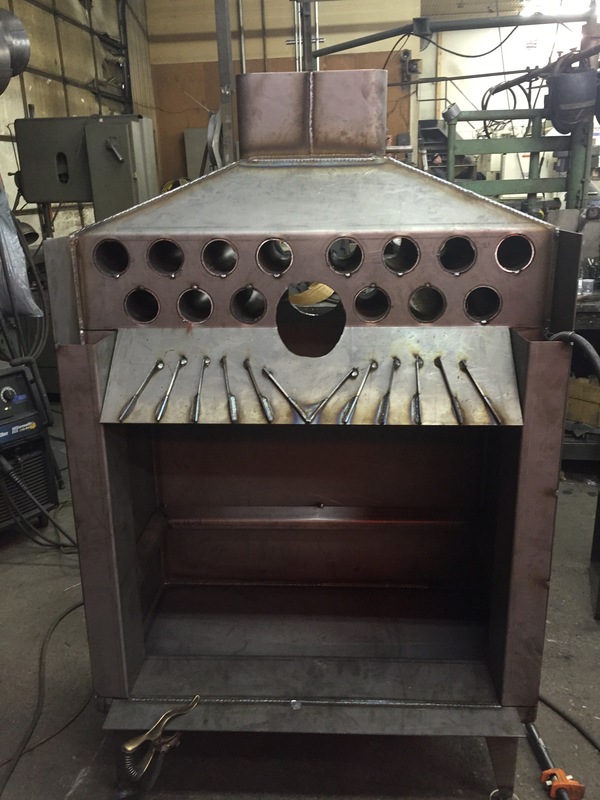 Today the company has over 180 standard gas and 35 standard wood fireplaces and also designs and manufactures hundreds of custom fireplaces every year. Just as when the company started 40 years ago, each fireplace Acucraft builds is constructed with personalized care for the customer. The company takes great pride in writing the customer’s name on the finished fireplace before shipping it to them. The key to Acucraft’s success is having world-class employees, incredible customers, amazing suppliers, and a gifted Board of Advisors. We at Acucraft are grateful to all of these partners, and we are looking forward to another 40 years of turning our customers’ fireplace dreams into a reality. To help celebrate our anniversary we have some special deals for our customers! Give your Fireplace Advisor a call to learn more: (888)317-6499, or click here for more information.